You can also import a session file written by older versions of Insight. 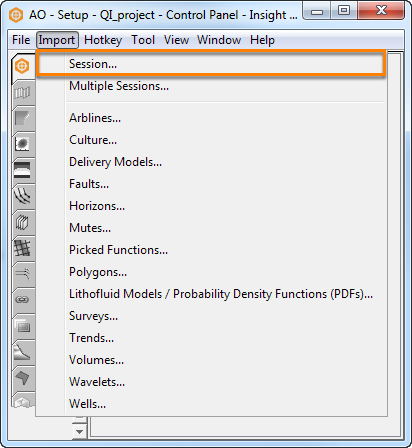 Select the session file and click Open. To import more than one session, click Multiple Sessions. 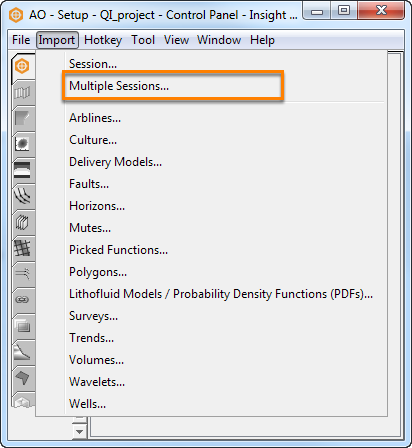 Select multiple session files and click Open. Once you have imported multiple sessions, these sessions will be created in the project database. This feature is useful for bringing in an entire project as you upgrade from the older versions of Insight.